Mr Spink was looking for a Steel Building to use as a workshop. Steel Buildings discussed the options and shared our experience to maximise what the client could achieve for his space and budget. 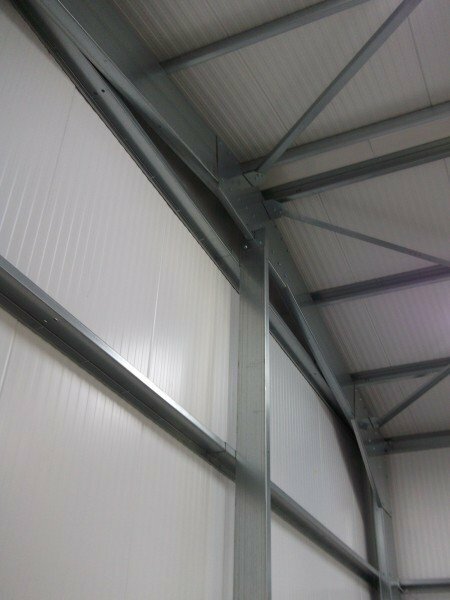 We provided a building kit that would produce a steel building 8 m wide x 14 m long x 2.397 m to Eaves. The Cladding envelope was a Kingspan KS1000 RW panel with a 40mm insulated core. Providing a good level of insulation. In one of the gables, we provided steelwork, flashings to create a roller doors and opening 3.0m wide x 2.60 m high. Also a steel personnel access door opening and door.